*UPDATED* Girls swimming and diving just got their first win of the season against Harding with a score of 94 to 69! This Saturday, the 19th, they will participate in the Laker Invite and hope to take home another win. The football team is currently 3-1, with a big victory over St Croix Lutheran, the 5th ranked team in state. They also defeated rival Como Park with a score of 45-7. Two players from the team were nominated two weeks in a row for MNHSL football player of the week; Amitri Collins and Charles Klug. The volleyball team has also had a successful start to the season, with a 7-2 record. They are also currently undefeated in conference. The weekend of the 11th and 12th, they participated in a tournament atVisitation with other schools around the twin cities. They finished in 2nd with wins against St Louis Park, Como Park, and Armstrong, but lost in the championship to Holy Angels. 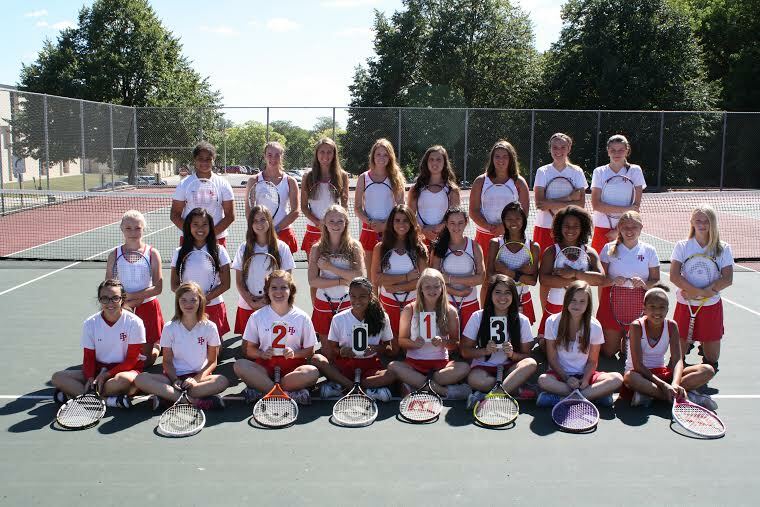 The girls tennis team is also undefeated in conference, and currently holds a record of 5-6. Their next match in against Johnson at Highland, and they would love to see supporters come out to watch! The danceline, coached by Ms. Mendenhall, has performed twice now at halftime at the home football games. They will also be performing a new dance at this falls pepfest. They are a crowd favorite! Cross Country has only competed in two meets, but both have been successful. Senior, Micah Mather has won individual winner at both meets! Congratulations Micah! Boys soccer is currently 3-1-1, and undefeated in conference. Last week they had two big wins over Johnson and Washington. Girls soccer holds an impressive record at 4-2-1, and they are also undefeated in conference. This week they will take on rival schools Central (at Central) and Como (at Highland). They would love to see fans come to support! The girls tennis team had a great season this year, even though three of the starting varsity players were injured and out for most of the season. Our season started out with captain’s practices during the last week of July and will be finished as of Thursday 10/9. Our season is almost finished, but we still have two more major events left! First is the individual sections at the University of Minnesota. It’s a competition where two singles players and two doubles teams from each school get to skip a day of school and compete. This year from Highland, Anja Savic (10), Leah Barrett (12), Sabrina Hang (11), and Katie Tennis (11) will be competing for the doubles teams. Emma Dombrow (11) and Preianna Swenson (12) will be the two singles players that are competing. Besides being a very fun opportunity, after the matches the players and Coaches go out to BDubs to eat wings and have some team bonding time. Besides the individual sections, we also have our final end of the year banquet at Olive Garden in honor of a great season. At the banquet, varsity letters will be given out to the players, and recognition certificates will be given out to the JV players as well. 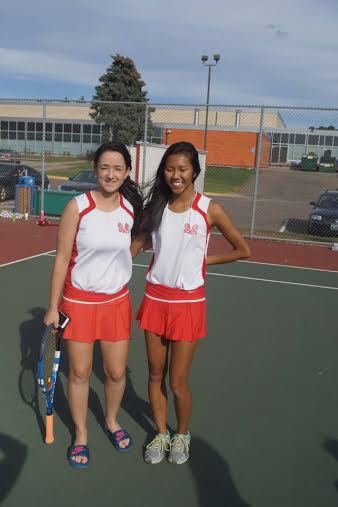 We will also give our final thanks to our two great captains this year, Sabrina Hang (11) and Leah Barrett (12). They had great team spirit and without their leadership the team would not have bonded together as well. 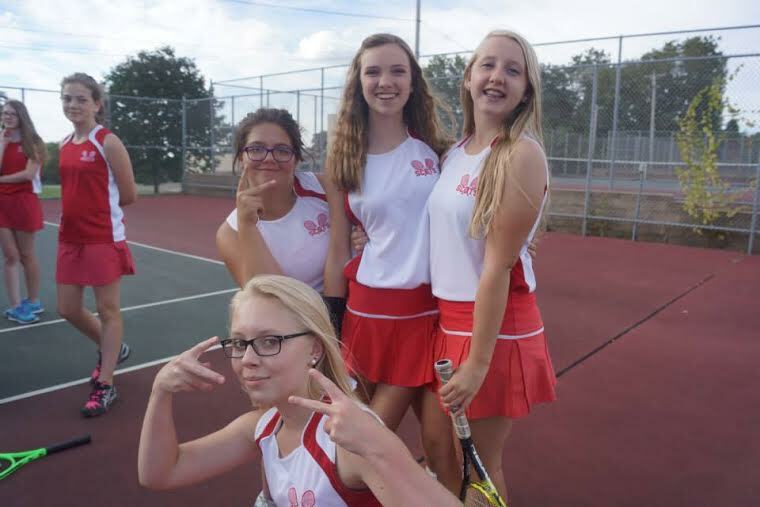 Next Year’s Season: If you, or anyone you know, is interested in joining the tennis team, I would highly recommend it! There is always room for anyone who wants to play, and it is a very fun sport with lots of friendly teammates. If you would like to join or have any questions, contact Mr. Shaw or any of the varsity players. Hopefully we will get some new girls next year!